The cloud continues to be a hot topic among IT departments and business users alike. 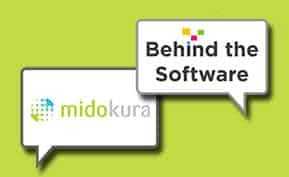 Industry analysts Gartner recently stated that 95% of companies are interested in maintaining or increasing their usage of Software-as-a-Service (SaaS) functionality. This survey involved 270 IT and business professionals from North America, Europe, and Asia-Pacific. 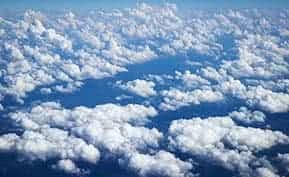 The success of the cloud has sparked a growing number of vendors, from start-ups to software giants like SAP, to enter the market. Yet, while interest in the cloud is high, only 39% of the surveyed professionals have a company policy in place for how to move to the cloud. A big obstacle in this policy-making is the integration between the cloud and traditional platforms. Historically speaking, the role of integration middleware has been to transform data for exchange between different applications. The cloud, however, requires integration not only of data, but of processes as well. Process integration focuses on enabling the cloud to deliver the desired business results and migrating data as part of that effort. To that effect, many vendors in this field offer a cloud-based integration hub that serves as a single integration point between multiple applications, with subtle differences between each vendor. 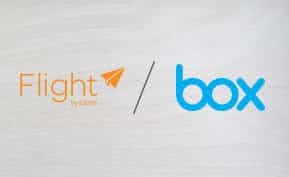 Boomi was one of the first integration-as-a-service cloud providers. They offer a service called AtomSphere, which is an integration platform that connects cloud-based services with other (onsite and Saas) applications. Boomi’s big play is to sell its service to cloud providers, who then bundle it into their own application offering. Boomi was bought by Dell in 2010. IBM Cast Iron, or IBM WebSphere Cast Iron Cloud Integration, also provides a platform for integrating cloud-based services with onsite and SaaS applications. It can be deployed physically (WebSphere DataPower Cast Iron Appliance XH40), virtually (WebSphere Cast Iron Hypervisor Edition), or as a full cloud service (IBM Cast Iron Cloud). Cast Iron is optimized for integration with various partner vendor solutions, including Salesforce.com, SAP ERP, Oracle ERP and CRM, SugarCRM, and more, eliminating the need for those vendors to create their own integration code. Informatica offers a wide range of solutions, including cloud data integration. Informatica integrates cloud data with onsite systems to ensure that users can access this data anytime, anywhere. The Informatica solution for Infrastructure-as-a-Service (IaaS) moves data between the cloud and on-premise systems to scale server and storage resources. Cordys offers different integration models. Cordys Platform-as-a-Service delivers all that is needed to support the complete life cycle of building and delivering cloud applications and services, including integration to existing cloud and on-premise installations. Cordys Cloud Provisioning is a tool specifically designed to create and manage the data exchange between on-premise and cloud-based services. Founded in 2000 and based in The Netherlands, Cordys has an impressive list of customers, including Siemens, ING, and Schneider Electric. RunMyProcess, founded in 2007 and based in France, with the majority of its customers in Europe, Asia, and South America. 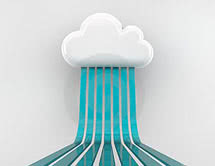 Pervasive providing data connectivity between a variety of cloud-based and on-premise applications through its Data Integrator solution. VMware‘s VMware Cloud Integration Manager enables service providers to automate the delivery and operation of VMware’s vCloud Director clouds. Fujitsu offers a variety of cloud integration services. Scribe‘s focus is on cloud integration into CRM modules. Want more information on the top cloud management solutions? We’ve compiled the top product reviews, blog posts and premium content on our cloud hosting research center page. Here, you’ll find tons of information on Paas, Iaas, cloud backup and cloud security solutions to help you choose the right cloud solution for your business.